Hello. Just got the XR500 and am experiencing speed issues. I'm on a Fios Gigabit connection. Speed test averaging 800 Down but only 30 up! My last router would get 900/850 on the regular. What setting could be causing this? set your speeds manually in the router under QOS and then run a speedtest and see what your speeds are! As above make sure you've entered your speeds correctly into Anti-Bufferbloats settings. Are you using a wired PC for the test? So QoS disabled from Anti-Bufferbloats 3 line menu and these are the speeds you get? Usually PC wired differs from the console. What are you QoS settings usually? Could you provide a screenshot please of the whole QoS page, you shouldn't get that low with it on. What is your physical setup? e.g. modem > XR500 > devices, please be as detailed as possible. Just restarted the router again and its back to normal on my laptop hardwired. 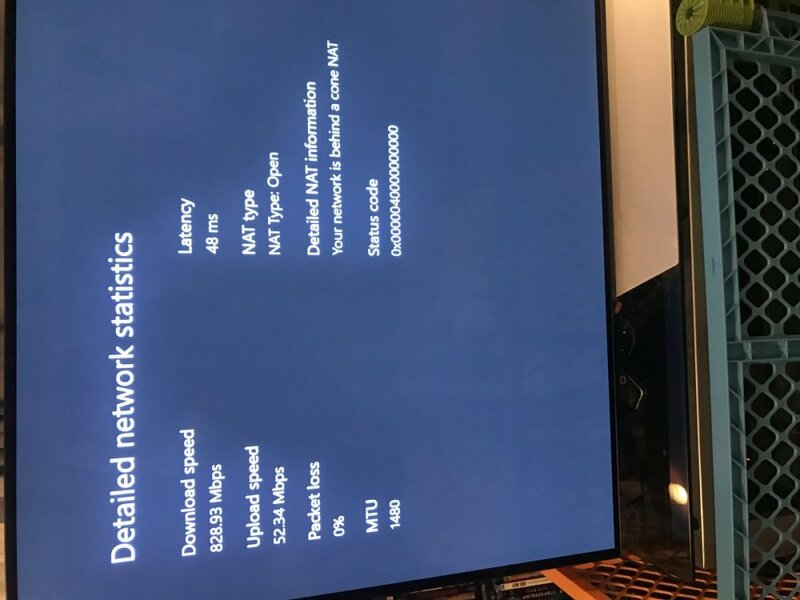 Xbox still has extremely low upload for some reason connected directly to the router. Router is connected to the ONT Fios box outside via ethernet cable. Xbox, and 2 DAP 1650 Access Points are hardwired to the router and run to different parts of the house via cat7 cables. Haven't tried to put the QOS back on as that was giving me slow speeds on all devices. Welcome to the forum that's really promising - if you're getting your expected speeds on a wired laptop that's great. Try enabling QoS, but make sure your settings are for high speeds (Anti-Bufferbloat at 100/100, Reset Bandwidth Allocation, don't add anything to Traffic Prioritisation). What speeds do you get, without changing any other settings, on your wired laptop now? Consoles have their own caps and limits - I'm surprised you could ever get high speeds through one. They not only don't have the proper software required to run accurate speed tests, but they usually max out at <300mbps. Stick to the laptop for now.